Laser tag is a fast paced, exciting game that can be played anywhere. It’s fun for the young as well as the young at heart! 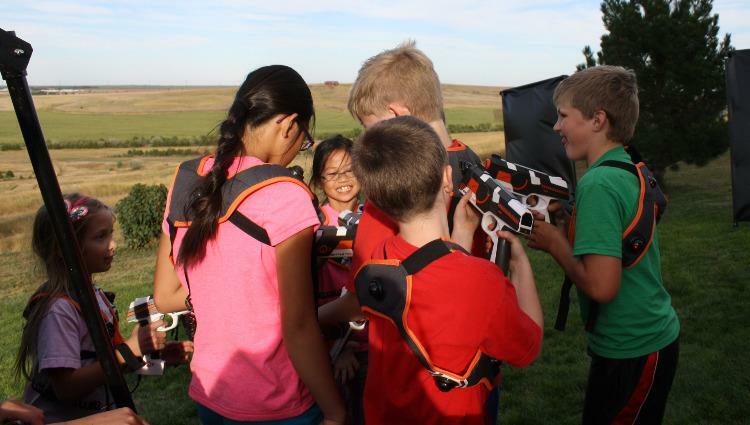 Laser tag is a fun activity for your next party or youth group function. Laser tag can be set up indoors or outdoors and is perfect for birthday parties, large family gatherings, church youth groups, school get togethers or anytime you want something different and entertaining. Laser tag combines cutting edge computer technology with an action-oriented game to create an exhilarating, heart pounding adventure in which strategy and teamwork are joined to defeat your opponents while having fun! Players attempt to score points by shooting opponents with an infrared laser gun. Infrared-sensitive vests which register hits are worn by each player. The games are set up and scored by a laptop computer that has a wireless connection to the vests and guns. 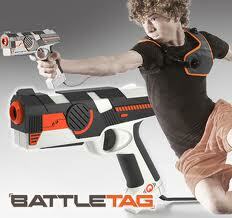 The unique thing about these laser taggers is they can be operated anywhere, at anytime and in any location. The equipment can be used indoors or outdoors at your location. You can set up mazes, obstacle courses, forts, or rent the Happy Zappy Rentals bunkers. Use in your school or church gym, or in your backyard. The possibilities are endless! Click the links in the top menu for more details regarding cost, equipment, laser tag rules, game instructions, and contact information. Copyright © 2019 Ryckman Enterprises, dba Happy Zappy Rentals.